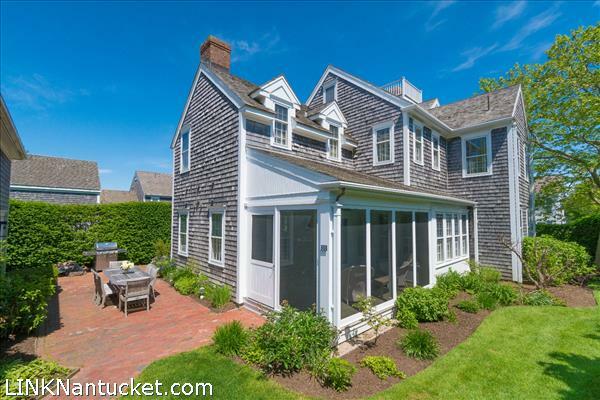 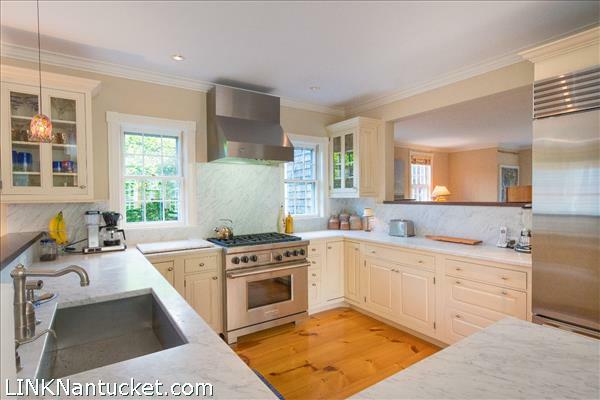 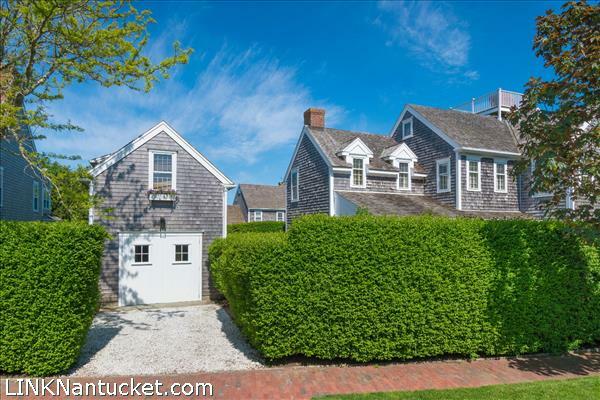 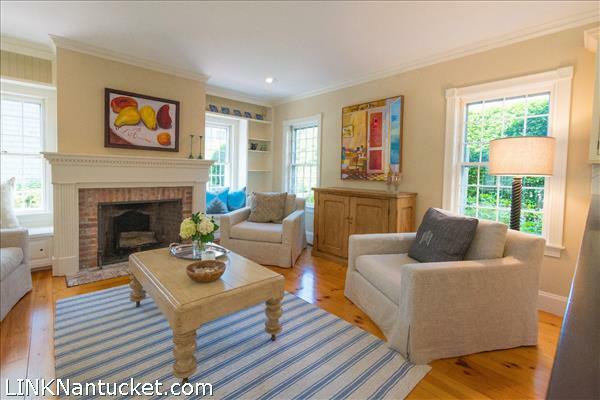 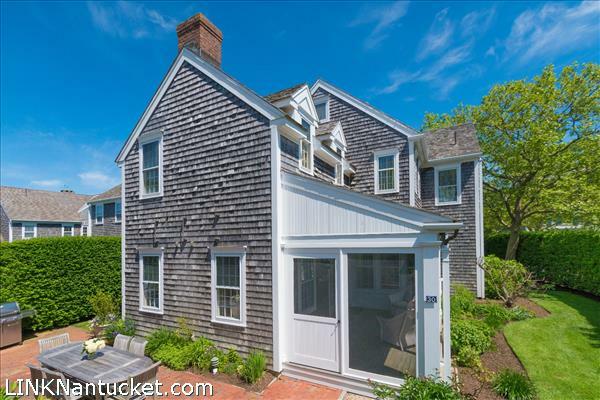 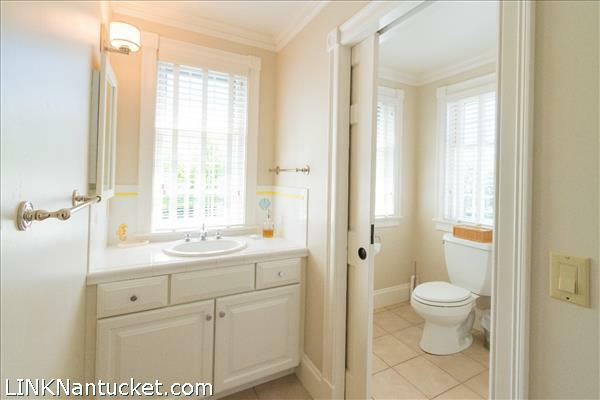 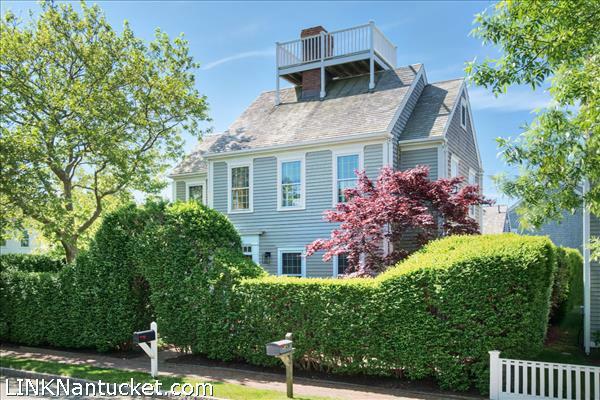 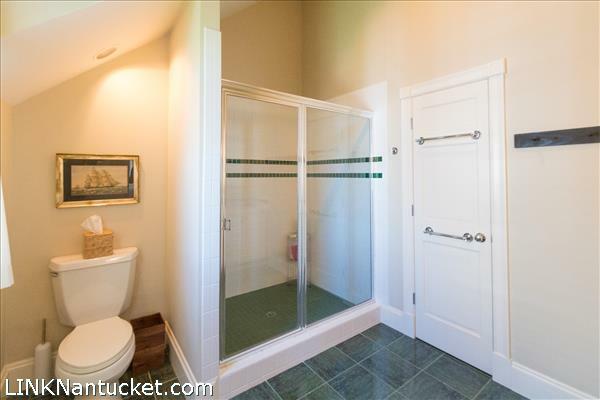 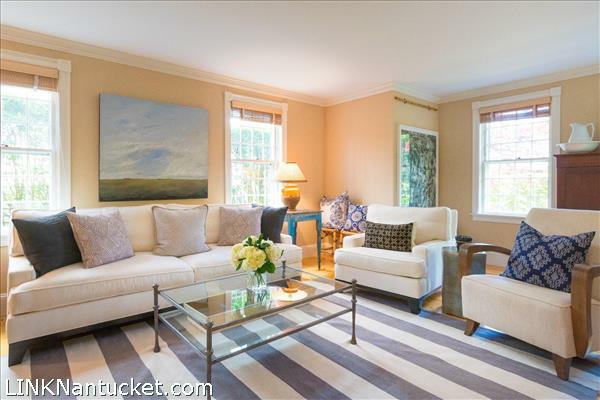 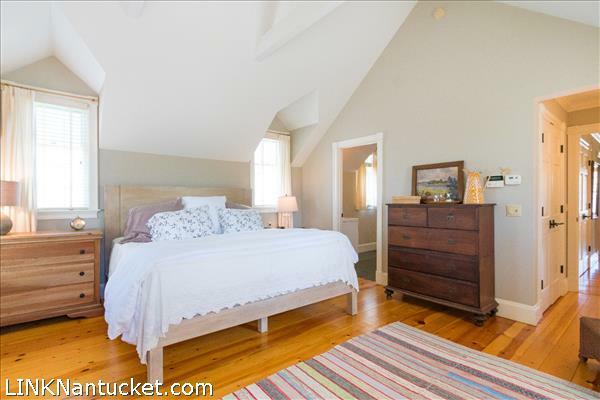 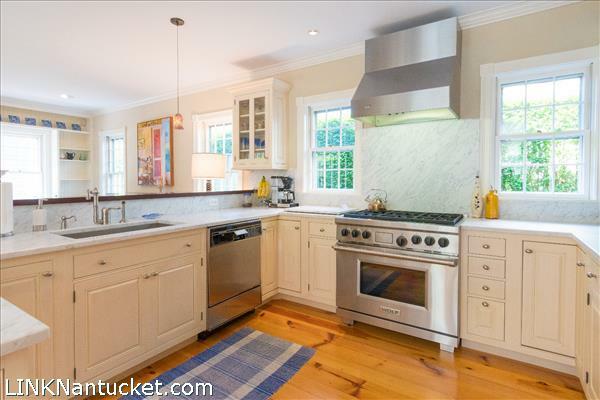 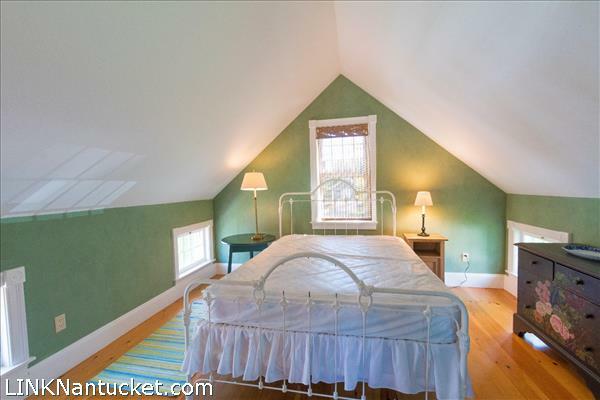 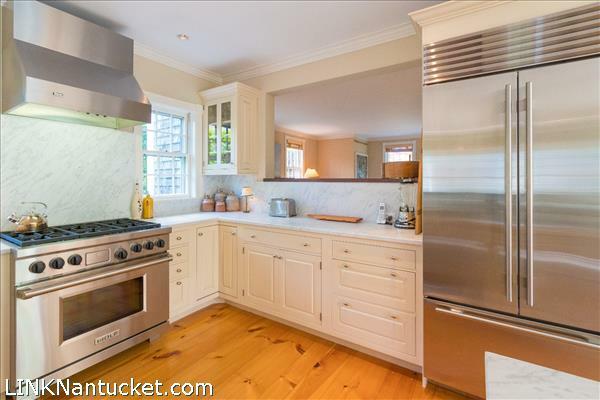 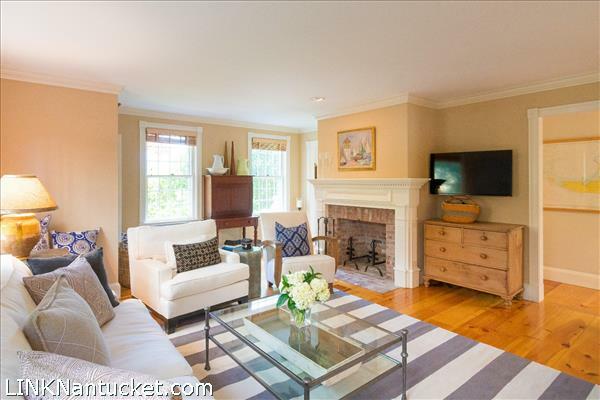 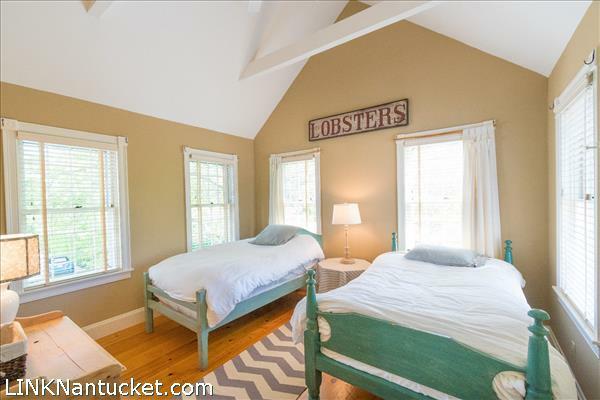 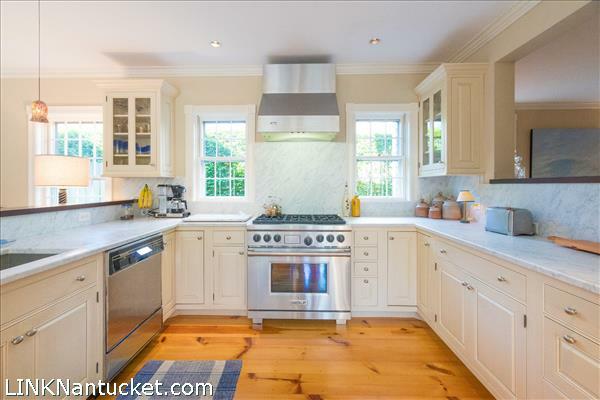 This beautiful family home is located on one of Nantucket's most picturesque streets and is ideal for generations to come. 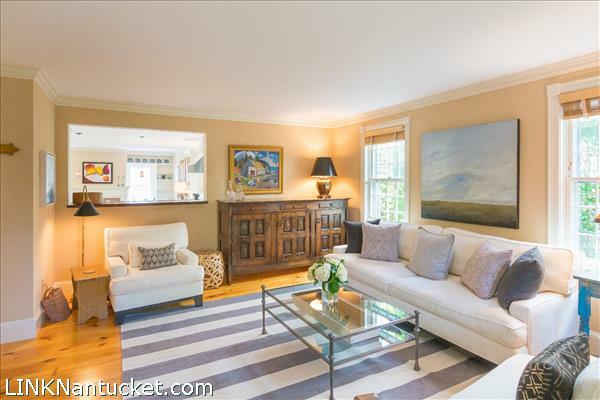 The property is secluded by lush landscaping and ample hydrangea filled gardens, while interiors are flooded in natural light by numerous large windows. 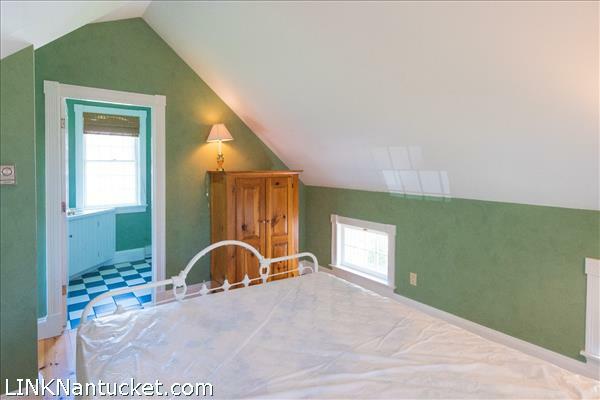 1st Floor: From the hydrangea covered garden enter through the front door to the main hallway. 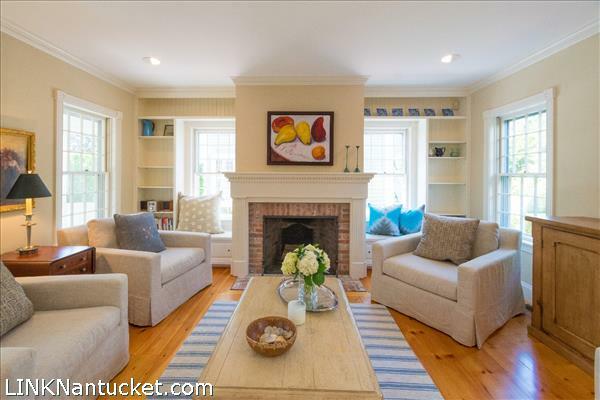 To the right, a large living room offers space to escape and unwind. 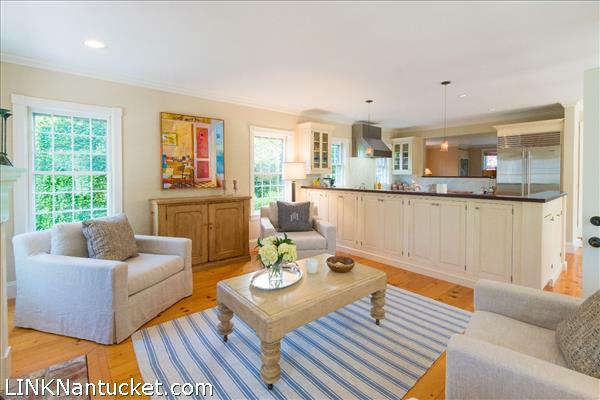 An open kitchen, dining room and sitting room fills the rear of the home and is flanked in natural light. 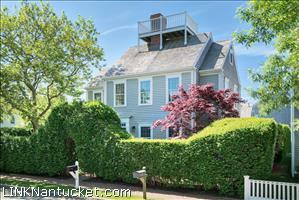 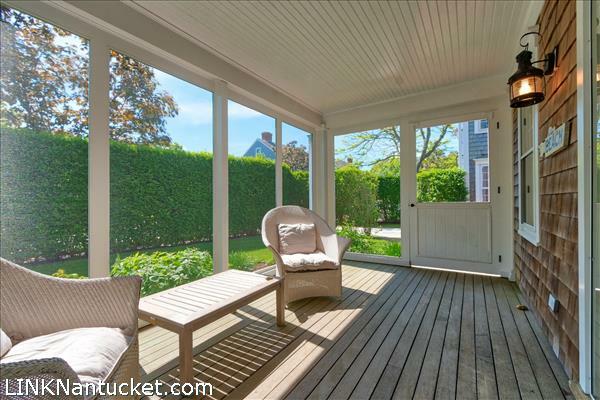 Enjoy access to the back sunroom, the perfect place to spend a cool Nantucket afternoon. 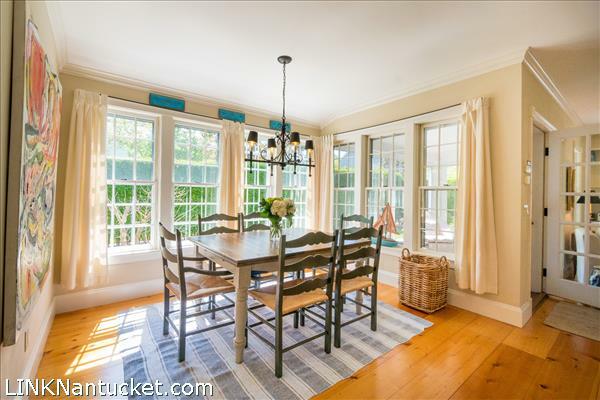 Through the sunroom is the back patio and an abundant garden. 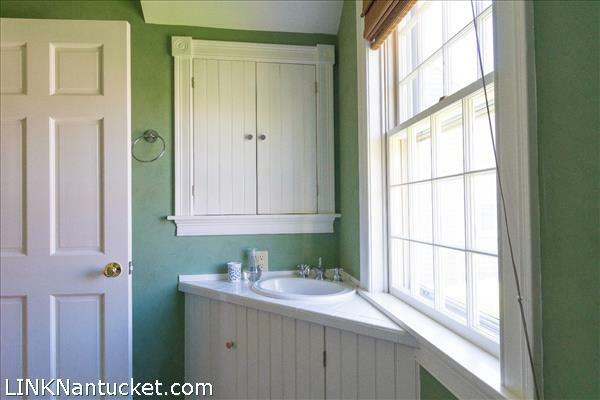 The laundry room and a half bath are also located on this level. 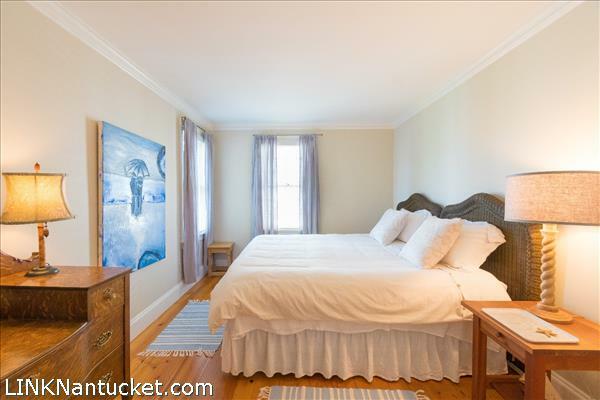 2nd Floor: The second floor offers three spacious bedrooms with a shared hall bath. 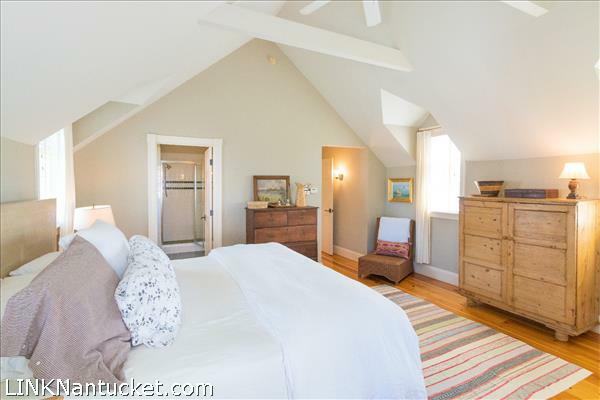 The master suite is located in the rear of the home with an en suite bath, vaulted ceilings and views of the back and side gardens. 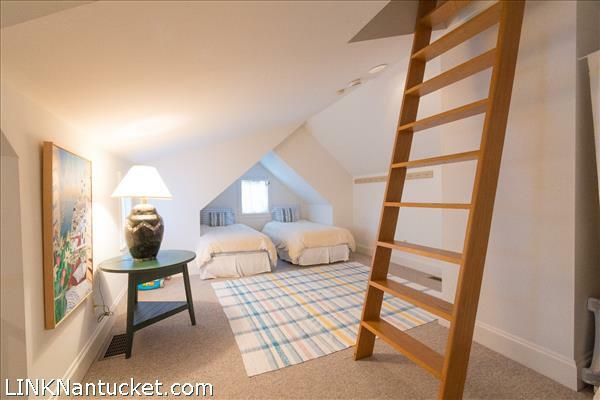 3rd Floor: The third floor offers access to the widow's walk and a large room, which can be used as an additional bedroom, playroom or office space. 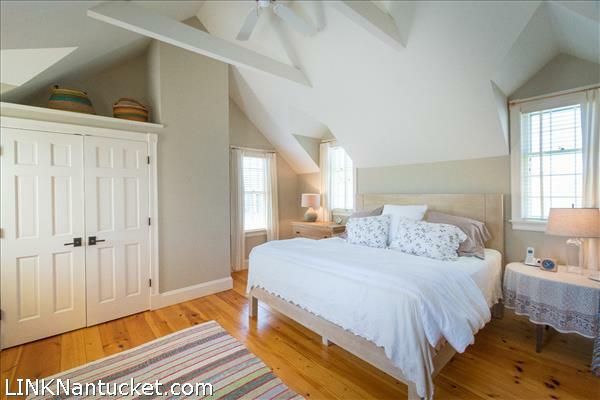 Second Dwelling: Garage with an en suite bedroom above. 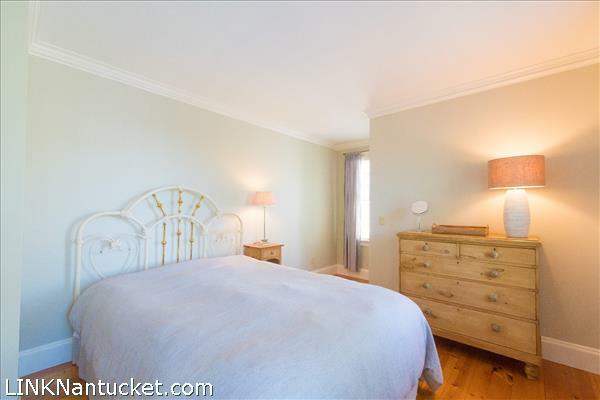 Listing has been viewed 944 times.